The Prime Minister, Dr. Manmohan Singh, the Speaker, Lok Sabha, Smt. Meira Kumar and the Chairperson, National Advisory Council, Smt. 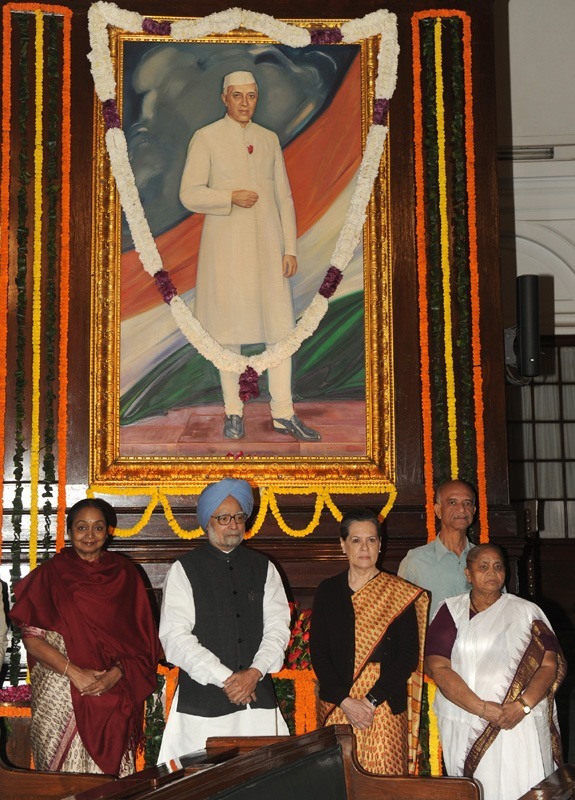 Sonia Gandhi paid tributes to the former Prime Minister, Pandit Jawaharlal Nehru on his 124th birth anniversary, at Parliament House, in New Delhi on November 14, 2013.